Q3 2013 release of UI for ASP.NET AJAX introduces the highly requested RadMediaPlayer - a video/audio player supporting HTML5 media formats and offering tight integration with media providers, such as YouTube. 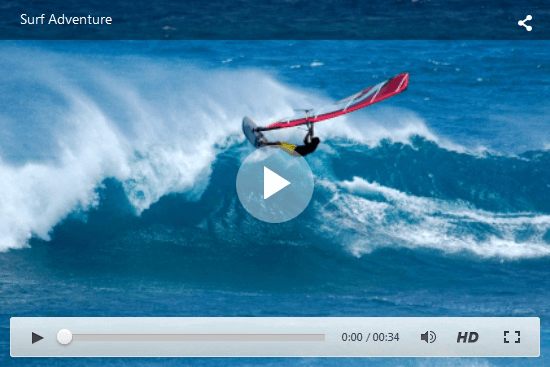 RadMediaPlayer uses the build-in HTML5 <video> and <audio> element functionality to bring powerful media capabilities to your apps without the necessity of installing additional plug-ins. It provides a quick and easy to setup way to deliver rich media web experience for websites, blogs, online TV channels, e-commerce pages, etc. for FLV videos even on modern browsers supporting HTML5. That way, the customer is now able to provide single FLV video and let the player handle the rest. For older browsers which don't support HTML5 natively, Internet Explorer 8 and 7 in particular, the player provides a Flash fallback method to play the video or audio file by rendering a Flash <object>, instead of the default <video> element. This improvement enables the RadMediaPlayer to support FLV video format on all browsers by rendering as an <object> automatically when the provided video is of FLV format. Social share control in the title bar for quickly sharing the media file on Facebook, twitter, Google +, etc. RadMediaPlayer will be further improved with advanced new features, such as buffering overlay animation, in-built playlist, etc.